It is with a heavy heart that I write this final post on behalf of my beloved father, Geoff Salmon Sensei, who passed away on the 9th November 2018, joining my mother, his dear wife, Valerie who passed in July. He was a true warrior until the end – and despite the ferocity of his final opponent, cancer, he never let it conquer his fighting spirit, dignity and inimitable sense of humour. 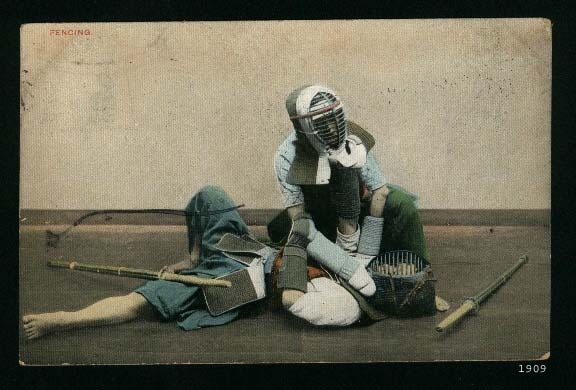 As you will most probably know, Dad dedicated his life to mastering and teaching the art of Kendo. A pastime which began in his teens as a hobby and evolved in to a true passion and an integral part of his existence over the next 51 years. Even in the final weeks of his life, despite his rapid decline in health and fragility he still mustered the energy from deep within, fuelled by his unwavering love for the sport, to take Keiko in Spain, sit for hours on a grading panel and visit Mumeshi Club almost every week. Even after slipping in to unconsciousness for 24 hours, whilst I kept a bedside vigil fearing the worst, he awoke suddenly, smiled excitedly and said “Is it Sunday yet? Can you drive me to Kendo now?”…and in case you’re wondering, he wasn’t joking! I often think of this proverb when I remember my father – A hawk who is a skilled hunter, hides his talons from his prey. One of the many Japanese quotes that serves as a reminder to stay humble. In fact, it was due to his great humility that many of his friends and family, (ashamedly myself included) underestimated the sheer magnitude of his many achievements throughout the years until he passed. 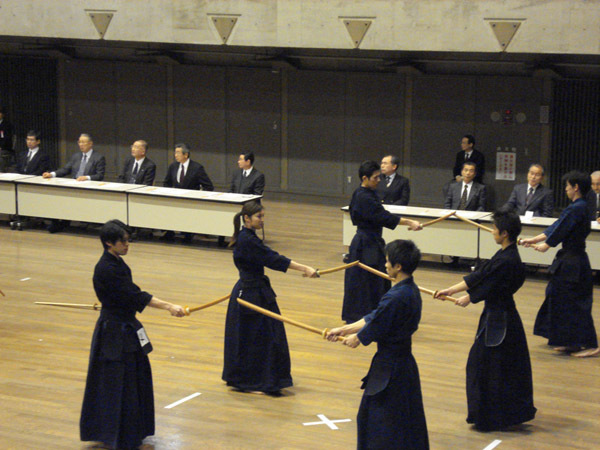 From holding the position as Chairman of the British Kendo Association to directorship of the company set up to run the highly successful 2004 world kendo championships in Glasgow. Running and translating at kendo seminars around the world. Being honoured as an International Referee at both national, European and world championships. Judging at most UK kendo grading panels. Becoming a successful author (…and even a stint on a prime-time television show ‘The Games’ assessing/lamenting celebrity kendo attempts!) And, of course, attaining the prestigious rank of 7th Dan Kyoshi – of which there is currently no higher grade in Europe. All this aside however, I personally believe his biggest accomplishment is how many kendokas of all ages he inspired around the world and the passion he ignited in others for the sport. The legacy of which can be clearly seen in the hundreds of heartfelt messages and wonderful recounted memories that I have received in various forms since his passing! I know he was very much hoping to write a final goodbye to you all but unfortunately time was against him. 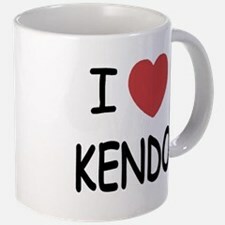 On his behalf, however, I would like to sincerely thank you for supporting his blog throughout the years (which I will continue to keep on-line) and share with you his final wish – ‘to extend the Kendo community and help engage the next generation’. Despite not being a kendoka myself, it is my hope to preserve my fathers’ legacy (as Terry Pratchett so eloquently put it .. “No one is actually dead until the ripples they cause in the world die away…” ) and help to fulfil this wish. Exactly how I plan to do this I am yet uncertain but I am sure with your help this can and will be achieved! On behalf of both myself and my father, I would like to thank the international Kendo community for all your support and wish you all a healthy, happy and prosperous new year. I hope you will join me this New Year’s Eve and raise a glass to a wonderful father, husband, grandfather, teacher and friend – a man who truly embodied the ‘spirit of the warrior’, Geoff Salmon Sensei. Gone but never forgotten! Excuse the silence. 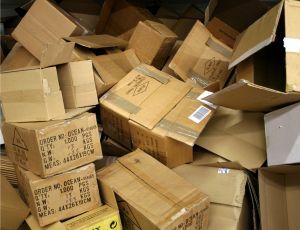 Kendo info is taking a week or two off to cope with the chaos of last week’s house move, Back as soon as I find the box with my hakama. Regular readers will know that I am a frequent visitor to Southern Spain, since my wife and I finally decided to invest in a second home in Marbella. I’ve still not reached the nirvana of retirement, so my wife gets to top up her tan by the pool whilst I peer into my office laptop with the air-conditioning switched to maximum. I was reluctant to commit to spending so much time here, until I discovered that Shion dojo had active kendo clubs at Estepona and Benalmadena. As we are based halfway between the two, I have the option of four keiko sessions per week. The other plus is that as the Costa del Sol is such a popular holiday destination, we get lots of kendo visitors. Jacques van Alsenoy, 6th dan from Antwerp is a regular summer visitor and we made a mental note to train together when we were both here. Unfortunately Jacques was due to drive home the day after we arrived. Nevertheless, we both made it to the dojo on Tuesday and we had a really enjoyable keiko. Friday saw the beginning of a seminar run by Mikko Salonen, kyoshi 7 dan, Makrus Frey, kyoshi 7 dan and Susanna Porevuo renshi 6 dan. On Friday I joined the seminar for the final keiko before enjoying tapas with Fernando, the Shion shihan and the Finnish group. On Saturday my colleagues bumped me up to be (a working) shinpancho for a Spanish open competition. It was great fun to referee with Mikko and Marcus as we have all previously worked together in European and World Championships. For me the best part of every seminar or taikai is the open keiko session and I enjoyed my practice with kendoka from Spain, Estonia and had a great 1 on 1 with Mikko. Sayonara parties have various formats, but Shion have their own take on the way it should be done. 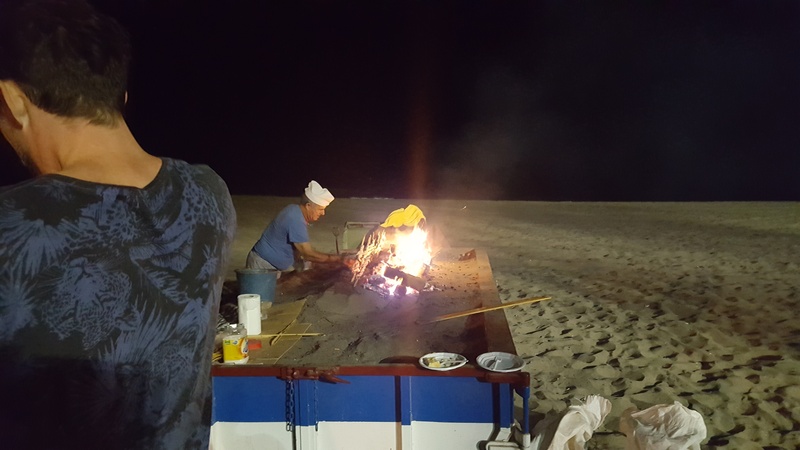 Fernando and his family provided a wonderful beach barbecue party, with sardines cooked over olive wood and home-made gazpacho and tortillas. 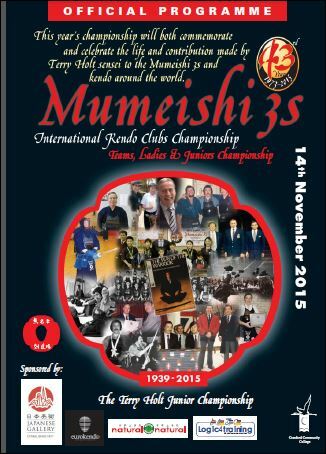 Our schedule did not allow me to take part in the final Sunday session, but I am already starting to think about next week’s schedule at Mumeishi when I look forward to welcoming Sueno sensei, hanshi, hachidan to the U.K.
As far as my friends in Spain are concerned, the story continues. My friend and sempai, Hayashi Kozo sensei , kyoshi, hachidan is coming to the UK to run a seminar in October and we hope to extend the trip by a few days so that he can enjoy the hospitality of Shion dojo on the 25thand 26th of October.